Take a look at some of the most gorgeous Arabic mehandi designs inspired by this season’s prominent motifs! 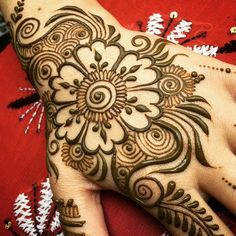 Arabic mehandi is known for it’s unique design and elegance. The Arabic mehandi designs in the recent times have become extremely popular because of the charming patterns and massive customization. 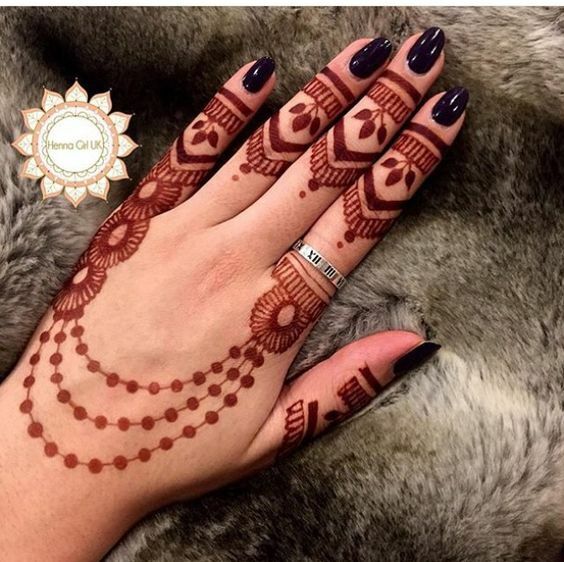 With Spring in the air, Zuri decided to share with you top 18 gorgeous Arabic mehandi designs inspired by the prominent motifs of this season. From flower blossom to fresh mesh-work to greens growing on the trees, take a look at these best of the best Arabic mehandi designs that are sure to blow your mind and tempt your heart. 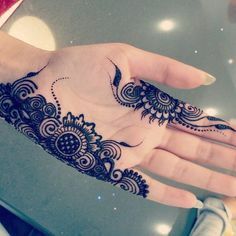 Some of them are really easy and can be tried at home, while others need a professional mehandi artist for their application. Other than the simplicity and less detailing involved in majority designs, one can also opt for a heavier look by using sequins, glitter, sparkle and embellishments in the Arabic mehandi pattern. For an ultimate bridal look this Spring season, it is recommended to wear a fusion of Arabic and Indian mehandi design on hands and feet. Such designs reflect intricacy as well as neatness. 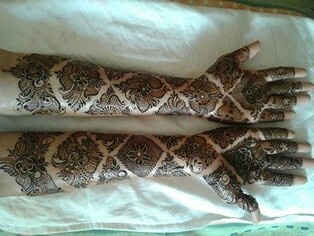 Besides, mehandi application takes less time and there is such a beauty to such designs. These designs contain elaborate sequences of flowers, paisleys, lovely seasonal sky with shining stars in between cloudy intervals and the motif of the moon! When compared with Rajasthani or Marwari mehandi style, the Arabic mehandi design is less complicated. That’s why most of the brides today are choosing to stick to the gorgeous Arabic mehandi designs. What typically happens in this style is that the patterns are free-flowing. They tend to trail down the hand (usually from the finger to the palm) gracefully and curves with beautiful Arabic motifs, for instance floral vines. 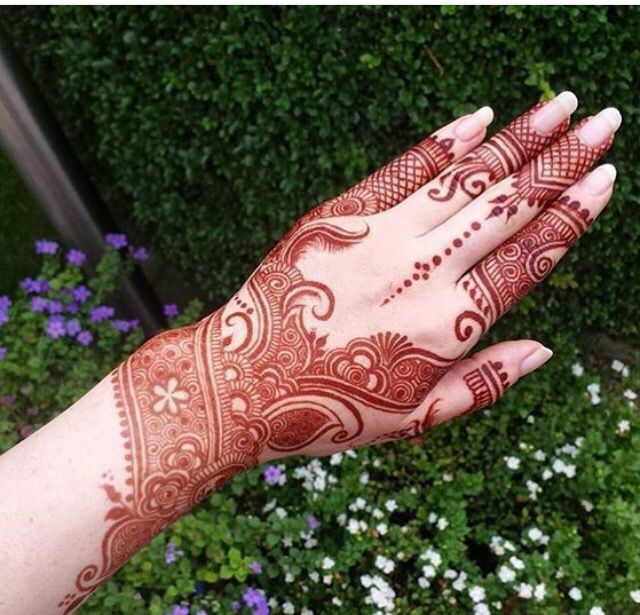 Arabic mehandi designs are also much in demand for their versatility. You can sport it with a western as well as an Indian outfit. It is also a much sought after because of the way it gels with the festive outfits right from Anarkalis to Pakistani suits to lehengas and sarees. Even an Indo-western outfit like palazzo kurti, designer saree gown and long skirt-crop top looks awesome with an Arabic mehandi designs. So, ladies- let’s check out some of the outstanding mehandi designs inspired by this season’s beauty.